Dealing with social anxiety can be a daunting thought but through considerate care, as well as tried and tested methods provided by highly trained professionals; the path towards relieving yourself of social phobias is closer than you might think. Social anxiety can affect people from all walks of life. Its exact causes are unknown but current research suggests that it may be learnt behaviour from a socially anxious parent or as the result of negative experiences, such as bullying. It would seem most likely that a combination of genetic and environmental factors leads some, more than others, to find social engagements extremely stressful. This, in turn, has the potential to induce a state of loneliness, which has traditionally been a major contributing factor in depression. Dealing with one’s own thoughts in isolation is often enough to make an issue escalate into a greater problem. What are Some of the Signs of Social Anxiety? Do you avoid social gatherings at all costs? Do you find it difficult to engage in conversation, whether in meetings or over the phone? Do you find it difficult to accomplish tasks for fear of being judged? Do you fear being criticised? Do you avoid eye contact? Do you notice physical side effects when you feel anxious, such as blushing, an increased heart rate, sweating or trembling? Are you prone to panic attacks? Statistics show that around 10% of the Australian population have experienced some kind of social anxiety within their lifetime with women slightly more susceptible to men by a ratio of around 3:2. For those affected, just asking for help can seem a mammoth task; the fear of being judged, scrutinised or misunderstood can be so debilitating that they may simply find it easier to succumb to the powerlessness of their feelings. Feelings that are accompanied by many physical, as well as psychological symptoms, which include rapid heart rate, nausea, blushing, trembling or shaking, difficulty getting words out, lightheadedness, rapid heart rate and excessive sweating. In fact, these symptoms are very similar to those experienced during panic attacks, which can occur in extreme cases of social phobia/anxiety. Some who suffer from this condition may turn to alcohol or drugs as a way of self-medicating but relying on any drug to combat anxiety will only exacerbate the problem in the long run. The negative effects of alcohol or drug abuse far outweigh the temporary relief they can offer. Others may seek solace from internet chat-rooms but, again, this only provides a temporary solution as social anxiety cannot be resolved by sitting alone in a room at a computer. Other crutches include compulsive eating, excessive exercise and indulgence in TV, all of which are often used to distract from the problem. Finding a way to interact with others is key. Reaching out to family members or close friends can help but it is advisable to seek professional help in order to permanently eradicate social phobia, which can have very deep-seated roots, often since early childhood. But despite what may seem an overwhelming issue that couldn’t be understood or is too embarrassing to speak of to another, it is an essential part of gaining the confidence to deal with the issue at hand, which is to ultimately feel free from the isolation that social anxiety inevitably brings. Talking is key, even if it seems a task too difficult. Furthermore, human interaction is proven to have several positive effects on both mental and physical health. It is even known to prolong life itself. So, overcoming social anxiety is, to a certain extent, a matter of life and death. Mindfulness, meditation and breathing techniques can all help when dealing with anxiety. Avoiding caffeine, maintaining a healthy balanced diet, regular sleeping patterns and exercise are also beneficial to battling any such disorder. These simple steps can be implemented alone, so avoiding the difficulties associated with social engagement. Longer term solutions, such as CBT (Cognitive Behavioural Therapy) and talking therapies are available and known to be successful in aiding the rehabilitation of all anxiety-based disorders. The ultimate goal is to live a life free from the anxiety of being around others and it is entirely achievable to anyone who is ready to follow through on the decision to change their life for the better. 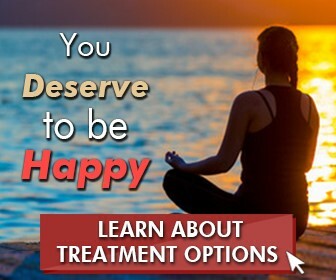 Psychotherapies, such as those mentioned above are available at The Cabin Sydney and can effectively help anyone suffering from a seemingly overwhelming disorder in order to live a rich and fulfilling life. Our qualified staff are trained to assess each individual according to their needs so that they receive the appropriate care alongside tailor-made programmes that will not only help them overcome their social anxiety but also maintain it. Contact us to find out how our methods of treatment can help you lead a life that allows you the freedom to be who you are wherever you are.